Over the past two seasons when the Blackhawks have faced down their last three opponents: Tampa Bay, San José, and Washington, their successes or failures of the previous season were right in line with how they performed against them this season. While this might astonish some, what it tells us is that there has been little change in the level of play within these clubs (with the exception of Washington, which has undergone one of the biggest changes in the league thanks to a certain Mr. Barry Trotz). 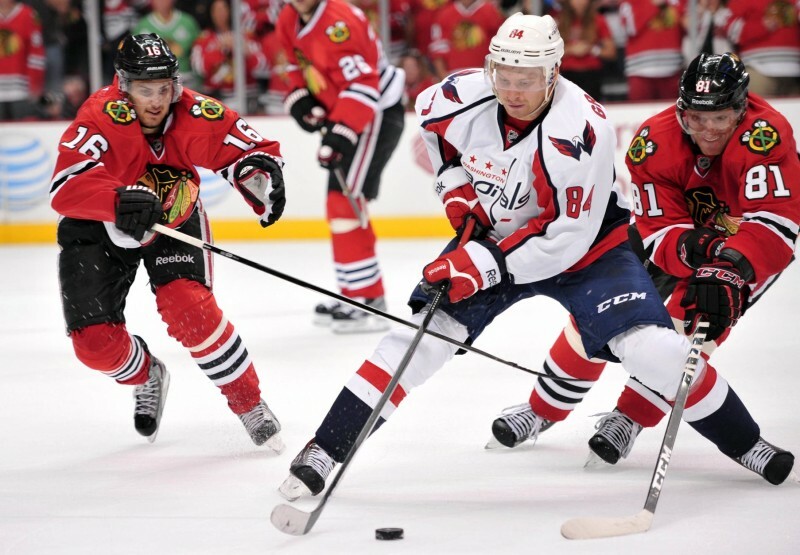 Taking the numbers from last season’s games into account, Chicago’s numbers against Washington showed last Friday’s game could have gone either way — out of two games against the Caps last season Chicago, won one and lost the other — it’s not a surprise that they lost their match on the seventh. The shock comes once you realize that the two clubs held each other to two and three points, respectively. In the past, both Chicago’s and Washington’s numbers have been higher by anywhere from two to four points. This probably says more about Washington’s renewed focus on team play rather than scoring, but it also speaks to the physical fitness of the Blackhawks. Last season’s Blackhawks came out hard, and were gassed by the end of the second period. The third period was often painful to watch. Now, however, Chicago comes out hard and shows some real stamina. By the end of the third while one can’t say they look as fresh as daisies, they clearly have more left in them than their opponents do. San José was next on the schedule, and this game throws us for a little loop here: the Blackhawks faced them down three times and only won once — the other two ended in shootouts which San José won. However, considering that Chicago came back in top shape after Quenneville put his players on strict workout regimes over the summer, it makes sense that this sustained pressure leveled the Sharks, leading to a 5-2 win for the Hawks. Finally, Tuesday night the Hawks played and won against Tampa Bay. Like last season, where they played two games against Tampa Bay and won both of them in overtime, this game was also won in overtime. Even with the Lightning’s power forward in Stamkos and power end in Bishop, the Blackhawks were desperate to win two games in a row and prove to themselves and their fans that they had the stamina to last more than one game. After looking at the evidence from last season and determining that it generally holds up, we can use it as a predictor for tonight’s match against Detroit. During the 2013-2014 season, the Blackhawks and Redwings faced each other twice in the regular season. The Blackhawks took home the W once time, and the Redwings the other. While the Redwings won the first match-up on home ice, it went to overtime and ended in a shootout. The Blackhawks celebrated a more decisive victory some months later, in a match that ended in Chicago winning by three points. Despite the evidence that tonight’s game could go either way, even after adding in the Blackhawks’ increased physical fitness and the scrutiny the Red Wings suffered over the summer (as well as Mike Babcock’s still yet-to-be-negotiated contract), after weighing the evidence against the Hawks’ current record it seems likely the Red Wings will walk away with the win tonight. The Hawks have had difficulty pulling out multiple wins in a row this season and Tuesday’s game against Tampa Bay was a big win for them in that sense. Coming in to a game with a more complacent mentality can affect the outcome more than anything else. In addition, Detroit will have the home-ice advantage, and a hunger to prove themselves after Tampa Bay shook them down for spare change. They’re on the hunt for blood (and maybe some goals). I’d be thrilled to see Chicago pull this one out over Detroit, but the likelihood seems low.